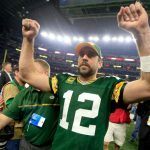 Aaron Rodgers gave Green Bay Packers fans good news Tuesday night when he said he had been medically cleared to play football again after breaking his collarbone on Oct. 15 against Minnesota. 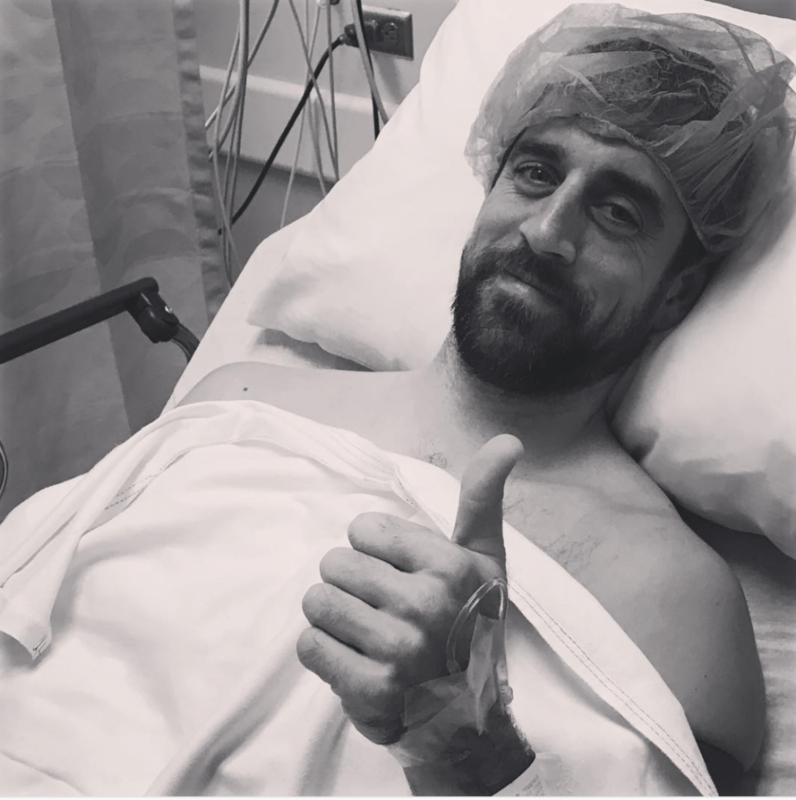 The quarterback posted on his Instagram account a selfie from a hospital bed after undergoing tests to see if his right clavicle and collarbone had healed. Some Las Vegas sportsbooks factored in the likelihood that the 34-year-old will be on the field Sunday against the Carolina Panthers and adjusted their lines accordingly. Most opened with the Panthers as a 6-point favorite. 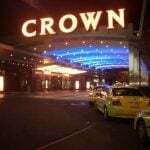 But the Wynn and Westgate Las Vegas SuperBook dropped their point-spread to 3 and 2 1/2 points, respectively. Just because Rodgers is cleared to play doesn’t mean he will. While some media have said he’ll suit up on Sunday, head coach Mike McCarthy is taking a more cautious approach, telling reporters that his starting signal caller is anxious to return but the team wants to be certain he’s 100 percent. 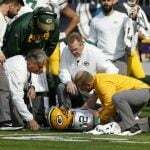 Rodgers has been taking slow steps toward recovery since the Oct. 19 surgery that had screws and plates inserted into his right clavicle. He was throwing Thanksgiving weekend and practiced last week with the Packers development team. One player who would love to see his teammate and insurance-commercial sidekick on the field is Clay Matthews. The linebacker said after the Packers’ overtime victory last week against winless Cleveland that he wants Rodgers back in action. Rodgers led the Packers to a 4-1 start before the injury. His replacement, Brett Hundley, has been inconsistent, winning three games as a starter and losing four. 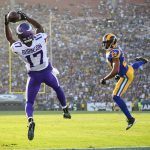 With the team at 7-6, making the playoffs is still possible, but it could require them to win their last three games of the regular season to secure a spot in the postseason. It’s been a rough year for quarterbacks in 2017, with several suffering season-ending injuries. The latest was Philadelphia Eagles’ Carson Wentz, who tore his anterior cruciate ligament Sunday and is lost for the year.